How to watch The Only Mother To You All (2008) on Netflix Canada! Yes, The Only Mother To You All is now available on Canadian Netflix. It arrived for online streaming on March 8, 2019. We'll keep checking Netflix Canada for The Only Mother To You All, and this page will be updated with any changes. 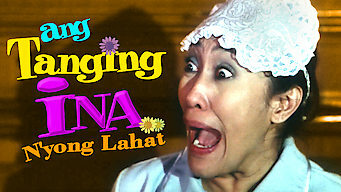 Raising her large family alone after her husband's death, Ina searches for work and finally lands the most unlikely job: president of the Philippines. Not so long ago, this matriarch was scrambling to support her large brood. Now she's the mother of a nation.